Tokyo Disney Resort is well-known for its seasonal events throughout the year, from the hyper-cute Easter event in the spring to the festive Tanabata Days at the beginning of summer. No matter when you decide to visit, there’s almost always something special going on. These special events offer merchandise, food, entertainment, and decorations. With the constant changes at the Resort, it’s tough to keep up with it all. This guide will show you these events at a glance and make your trip planning less daunting. 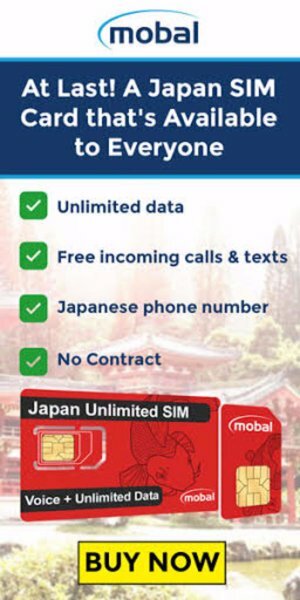 Here’s an easy-to-follow guide (save it for further reference!) 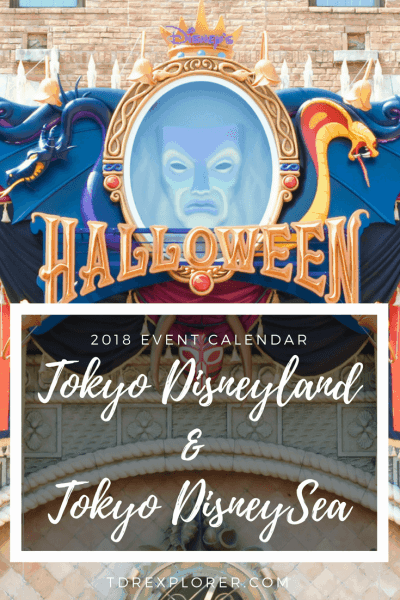 for the events in 2018 at Tokyo Disneyland and Tokyo DisneySea. Download the pdf. 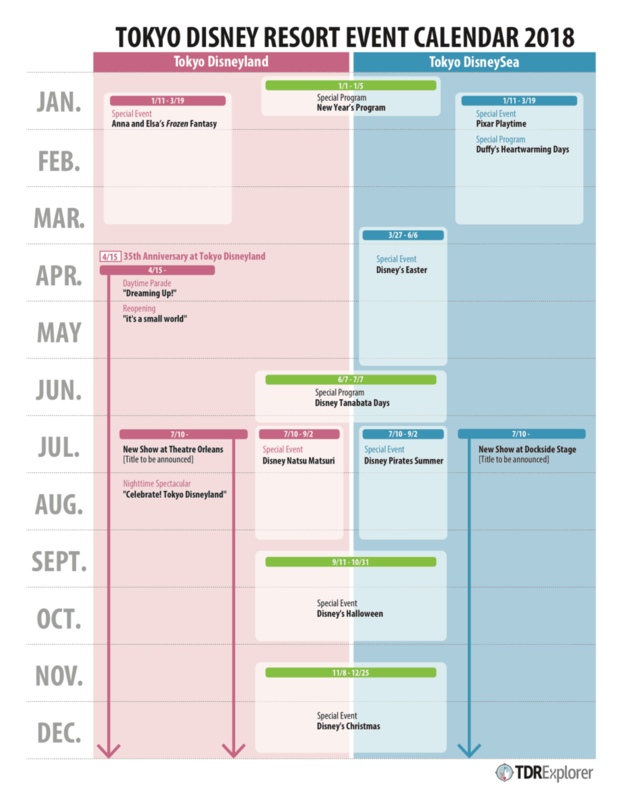 All information is from the official Tokyo Disney Resort Events Calendar. 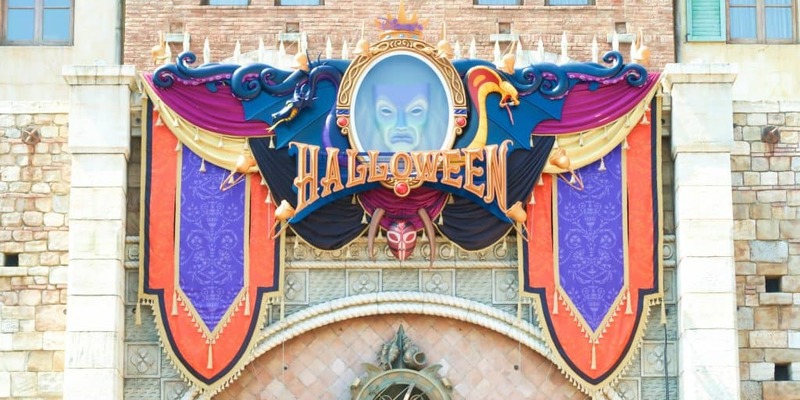 Now you know the basics of seasonal and special events at Tokyo Disney Resort. Here’s my list of recommended articles to further your trip planning to decide when to visit. Don’t forget to always check the official closures and refurbishment schedule.